Fennel seeds come from the species, Foeniculum vulgare, in the carrot family. Also belonging to this species is the fennel bulb. Other spices found in the carrot family include: dill, coriander, cumin and caraway. The so called fennel seeds are actually the fruits of the plant. This type of fruit is called a schizocarp. Inside each fruit are the actual tiny seeds. The fruit is tiny, grooved and about 4-10mm long. The aniseed like flavour comes from an aromatic compound called anethole, which is also found in anise and star anise, which have stronger flavours. Fennel seed is brown or green when fresh, slowly turning dull grey to yellowish brown, with yellow ridges, as the seeds age. Fennel seeds: can be confused with those of anise which are similar in taste and appearance but are smaller. The leading producers are: India, Mexico, China, Iran, Bulgaria, Syria and Morocco. There are two types of fennel seeds. The seeds of wild bitter fennel, mostly used in Central and Eastern European cuisines tastes slightly bitter and is similar to celery seeds. The sweet fennel produces the more commonly available variety of fennel seed, which has a mild anise flavour. The two types of seed are not interchangeable. 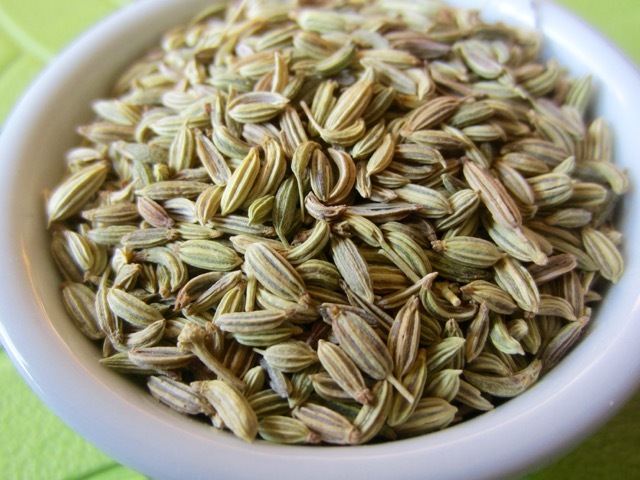 Fennel seeds are used in cooking savoury dishes like rice, and sweet dishes like desserts, especially in India, Pakistan, Afghanistan, Iran and Middle East. It’s a very important spice in Kashmiri, Pundit, Gujarati cooking. You can use the seeds whole, or lightly pounded in a pestle and mortar to release their flavour. You can use the seeds in breads, crackers, sausages, spicy meat mixtures, curries, cabbage dishes, rice dishes and pies. 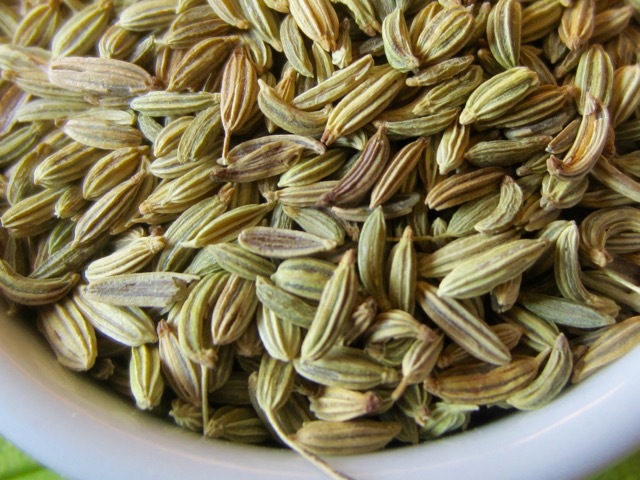 For Indian dishes, fennel seeds are usually dry roasted or roasted in oil, to release their aromatic flavour, before other ingredients are added. 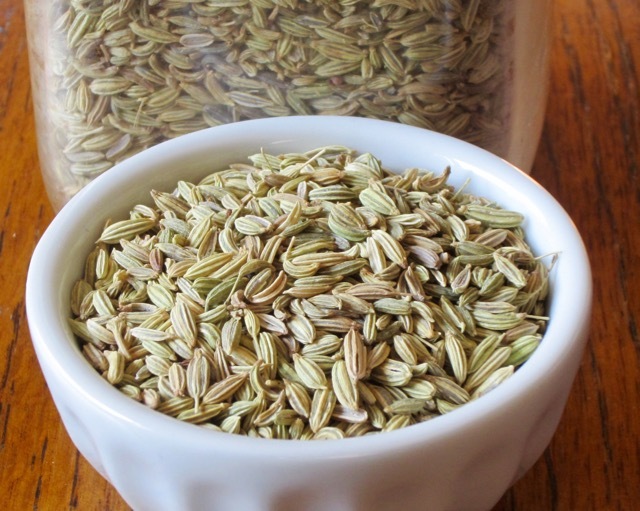 Fennel seed is an important ingredient Panch phoron and Chinese five spice powder. It is a primary flavour in Italian sausage and a primary ingredient in Absinthe, along with anise. 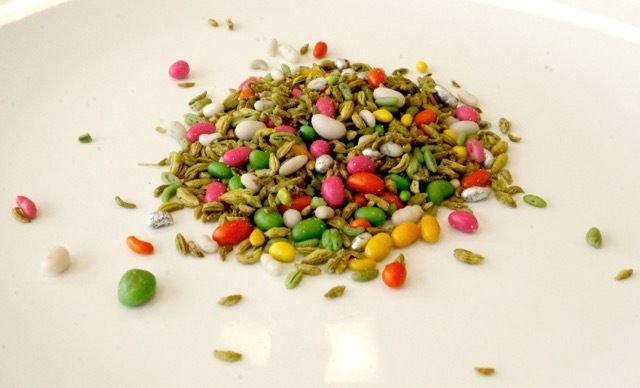 In many parts of India and Pakistan, sugar coated and uncoated fennel seeds are consumed as Mukhwas, an after-meal digestive and breath freshener. There are many brands of Fennel, herbal teas. Fennel herbal tea has a light and refreshing taste and aroma. The seeds can also be sprouted and added to green salads. Powdered fennel drives away fleas from dog kernels and stables. Fennel is used as an ingredient in natural toothpastes. Prev Can you use Gala apples for cooking? Fennel, one of my favorite seeds for their lovely sweet aroma ! I just got a new rice cooker- I’m going to try throwing some fennel in with the rice. That sounds yummy! It’s so very nice. Trust me. Godlike! In India, we make a cooling sherbet with fennel seeds to cope with the heat of summer. Oh that must taste really nice. I love the aroma of fennel. So refreshing! It does taste good and refreshing. Fennel is so amazing! I love cooking basmati rice with fennel seeds. It tastes so good, I sometimes just eat the rice by itself without adding any sauce. I also use fennels seeds for baking. The bulk of fennel in my house is used for cooking rice. Thanks and have a pleasant weekend, ahead!